Learn how to play Don McLean – Birthday Song note-for-note on guitar. This lesson teaches Don’s guitar part on the original studio version. In a few places, where his guitar is inaudible on that version, I’ve referred to the live ‘Solo’ version and used what he plays there. The complete file contains 3 lesson videos, a performance play thru video, full tabs, chords and lyrics. You’ll receive a link to download the lesson which will download as a zip file of 397 Mb containing all the lesson content. I’ve recently bought four tabs (Empty Chairs, I Am I Said, Kiss From A Rose, Birthday Song) and they’re all spot on. Quite frankly, your tabs are better than those songbooks available in Amazon. 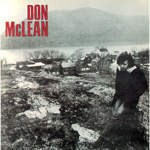 I’ve been wanting to play and old Aussie ballad entitled “The One I Love” by Mike McClellan. You can look this up Youtube. Can you please make a tab on this song for me? Looking forward to buying more tabs from you.